Museums present endless opportunities for kids to make connections and stretch their imaginations. Cultural institutions often create digital resources for kids based on what they feel they should know or learn, rather than letting the audience guide the process. Masha will present #MetKids, the new feature and app made for, with, and by real kids to explore art and the museum. She’ll share insights about her team’s R&D and content creation processes, what children said they really think and what to know about art, and how the Met learned and grew when they listened to the questions kids were bold enough to ask. 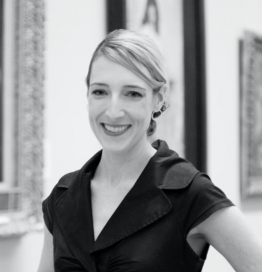 Masha Turchinsky is Senior Manager and Senior Producer | Media Production in Digital at The Metropolitan Museum of Art. Working cross-platform, and with a proven track record of leading high-quality and award-winning multimedia programs and strategic partnerships with major organizations, tech sector leaders, and philanthropic foundations—including Khan Academy, Bloomberg Philanthropies, NEH and the NYC DOE— she is a passionate expert in developing engaging and innovative content for museums and cultural organizations that invite users’ creativity, learning, and participation through the arts and media. She is the Series Producer and Editor in Chief of #MetKids, a digital feature made for, with, and by kids around the globe. With two decades of museum experience and an Ed.M. in International Educational Development focused on learning and technology from Teachers College, Columbia University, Masha is committed to expanding global access to educational and cultural resources.